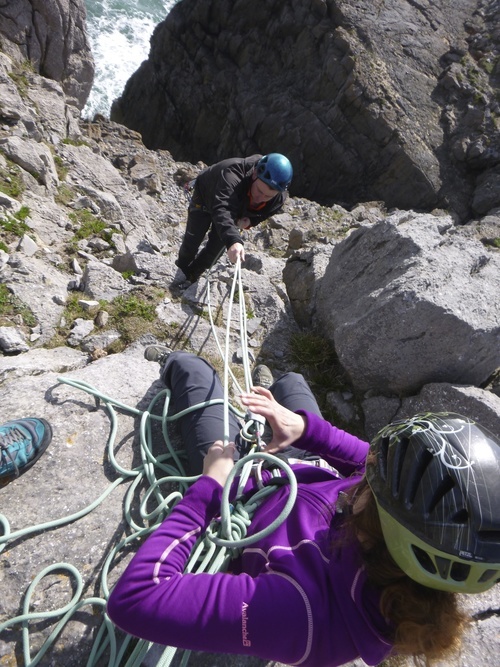 These courses are for experienced outdoor climbers who already lead traditional rock climbs. 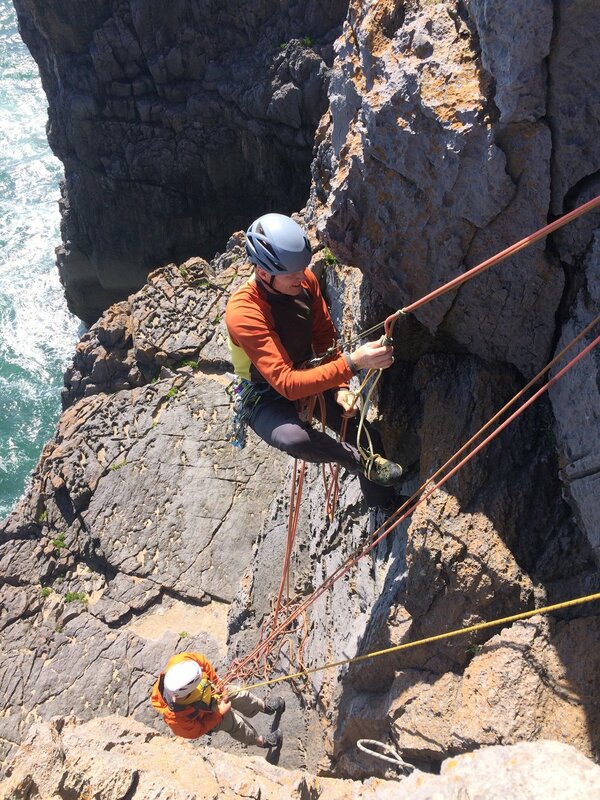 The aim of the course is to introduce skills that will enable climbers to overcome problems and incidents that can occur while climbing on committing sea cliffs or multi-pitch rock climbs. The Improvised Rescue course is also a great way for lead climbers to feel confident to look after less experienced seconds, should they need help. Courses will run for between two to five days, depending on how much you'd like to cover and the amount of practise time you’d like. All private bookings are tailored to suit your group. Attending with your climbing partner(s) allows you to develop your skills together so you can take your climbing further. Climb Pembroke is proud to be a regular provider of Self Rescue Courses for the British Mountaineering Council.